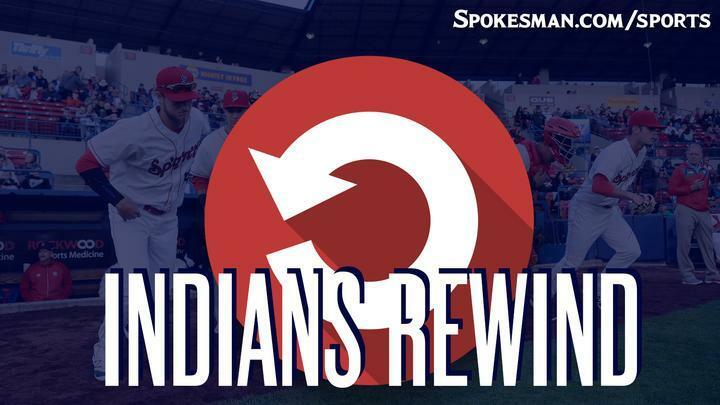 Isaias Quiroz homered twice, including a three-run shot in the second inning, and the Spokane Indians (2-3) pounded the visiting Boise Hawks (3-2) 8-4 in Northwest League action at Avista Stadium on Tuesday. Curtis Terry went 3 for 4 with his third home run in as many days and Starling Joseph added a solo shot. Ryan Dease (1-0) went five innings and allowed two runs on seven hits with a walk and three strikeouts. The big play: Down 2-0 in the second inning, Quiroz’ first homer was a blast and provided the Indians with a big hit with runners on base, something that had been lacking the first week of the season. The Good: This was Quiroz’ first two-homer game since his junior year of high school. Terry has homered three days in a row and leads the Northwest League in long balls (3) and RBIs (8). After the rocky first inning, Dease delivered four shutout innings and turned in the Indians’ fourth straight start of four-plus innings and two earned runs or fewer. The Bad: Most things went pretty well. We’ll give it to Juan Ventura, who went 0 for 3 with two strikeouts. The Ugly: J.P. Martinez, Texas Rangers No. 3 prospect, is off to a slow start in Short-A. He went 0 for 3 with a walk and his slash line is .143/.333/.286 through his first four games. He’s shown flashes of his impressive speed and while he’s walked four times he hasn’t made a whole lot of hard contact yet. Earlier this season he hit .409/.606/.682 in seven games for the Rangers Dominican Summer League affiliate. The Takeaway: Manager Kenny Holmberg was happy to see the power outburst and pick up another win on the five-game season-opening homestand. Terry, the NWL home run leader, is in a real groove. It was good to see Joseph get on the board. He had nine homers in 138 career games entering the season so he’s developing that part of his game. Next Game: Indians at Tri-City (2-3) on Wednesday at 7:15 p.m. Published: June 20, 2018, 11:55 a.m. Updated: June 20, 2018, 2:04 p.m.